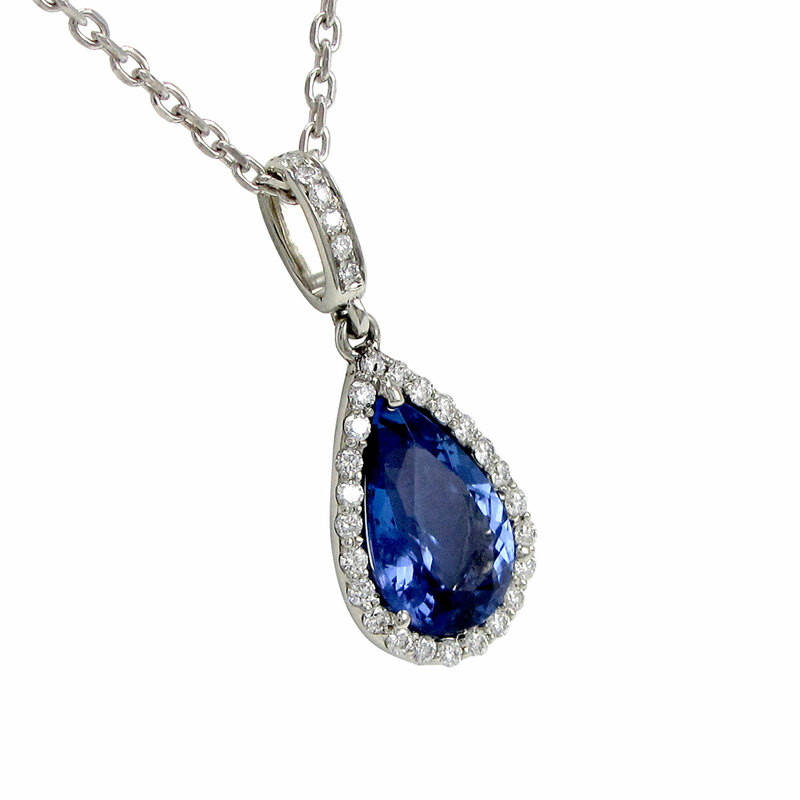 Pear shape tanzanite pendant with a diamond halo and diamond bail. Have your own project in mind? 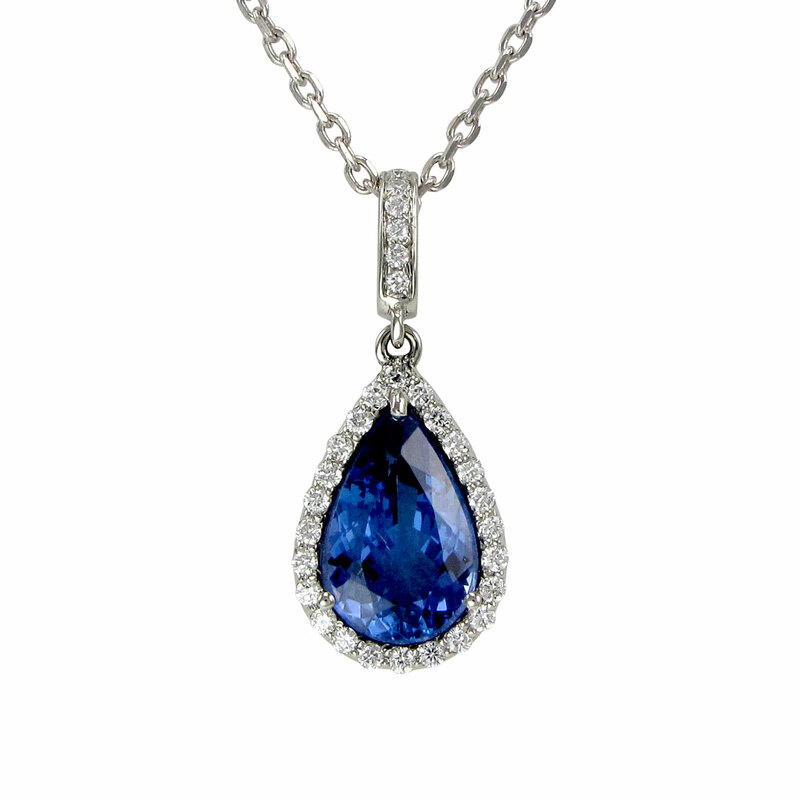 With over 40 years of experience in the jewelry industry, my philosophy has always been: be honest and fair. I take pride in providing the highest-quality product and continue to strive towards providing the highest standard of personal service.